Pampered Chef Nagai Adventures | The greatest WordPress.com site in all the land! Looking for an easy and healthy recipe for the kids or office party this Halloween? Checkout these fun apple wedges made to look like spooky teeth! These scary fun “applewiches” are a simple, healthy, Halloween snack. *Cut apple into wedges using Apple Wedger and discard core. *Using Scoop & Spread, spread peanut butter along one side of each apple slice. *For “teeth”, place five marshmallows in the peanut butter on five of the apples (closer to the skin side of the apple). *Press the remaining five apple slices down onto the marshmallows to form a “sandwich” resembling a mouth. Tip: For scary vampire teeth, substitute whole blanched almonds for marshmallows. This has to be one of the coolest alcoholic beverages I’ve ever seen! Sprinkle Nerds on bottom of bowl as “gravel.” Fill bowl with ice. Add remaining ingredients. 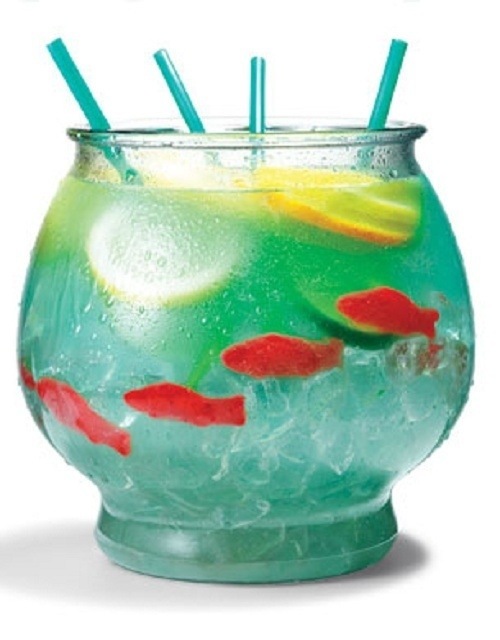 Serve with 18-inch party straws. 1) Place coffee granules in Small Batter Bowl. Add boiling water; whisk using Stainless Whisk. 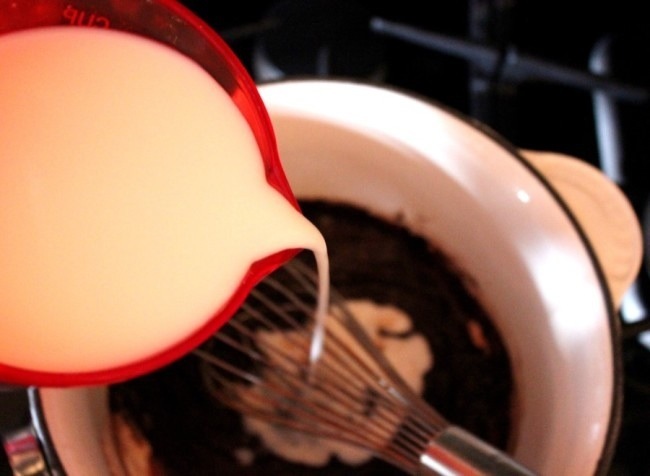 Whisk in sweetened condensed milk and cold water until completely blended. 2) Pour coffee mixture into Quick-Stir® Pitcher. 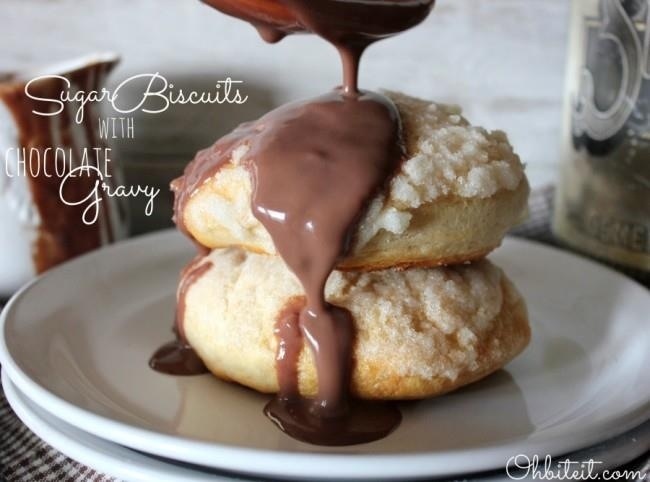 Add chocolate milk; plunge to mix. Chill at least 1 hour. Serve over ice. I LOVE recipes that require the least amount of dishes when I’m done and this one takes away 2 frying pans and a toaster by only requiring a muffin pan. You can get creative and use sausage or ham, or even make it a vegetarian dish with imitation egg and omitting the meat. 2. Spray 12 standard muffin cups. 3. With a rolling pin, flatten bread slices slightly and, with a 4 1/4-inch cookie cutter, cut into rounds. Cut each round in half, then press 2 halves into each muffin cup, overlapping slightly and making sure bread comes up to edge of cup. Use extra bread to patch any gaps. Spray bread with spray butter. 6. Scramble eggs and fill cups. Season with salt and pepper. Sprinkle in cheese. 7. Bake until egg just set, 20 to 25 minutes. Run a small knife around cups to loosen toasts. Serve immediately. 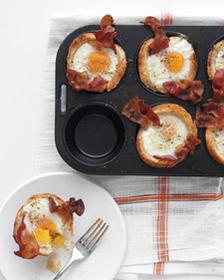 Standard muffin pans come in 6- or 12-cup size; if baking 6 items in a 12-cup pan, leave empty space in between. Nonstick pans are nice but not essential. Beware of very thin pans, which often lead to burning. 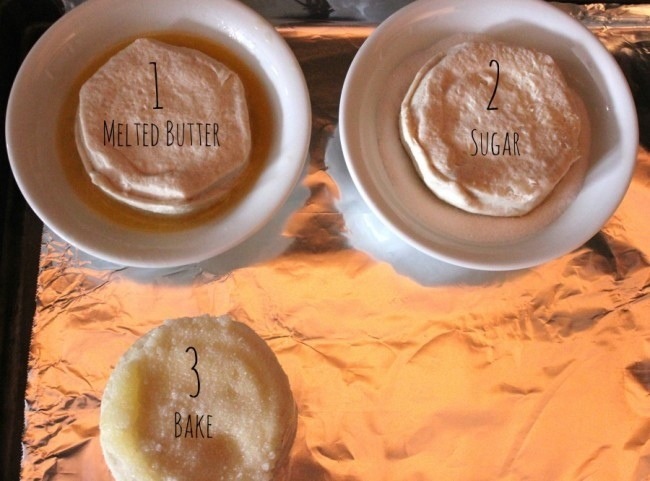 Place pans on a baking sheet to make them easier to get in and out of the oven. Or buy a Pampered Chef stoneware pan and cook evenly every time and without the need for nonstick spray. My four year old is going to flip over these! A gummy worm and peanut butter filled apple! Use up that bounty of autumn apples with this easy, kid-friendly snack. Parents will have to do the most of the cutting, but kids will enjoy helping fill the apple with peanut butter, and placing their gummy worms in just-the-right spot. Press the straw into the apple, ensuring that it goes all the way to the center core of the apple. Remove the straw and discard. Use a sharp knife to cut the top 1/3 off of the apple. Scrape the core out of the bottom part of the apple with a grapefruit spoon. 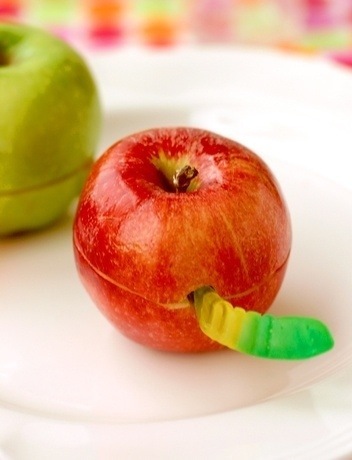 Gently place your gummy worm into the center of your apple, and through the hole you’ve created with your straw. Spoon a dollop of peanut butter on top of the gummy worm, into the hollowed-out center of the apple.